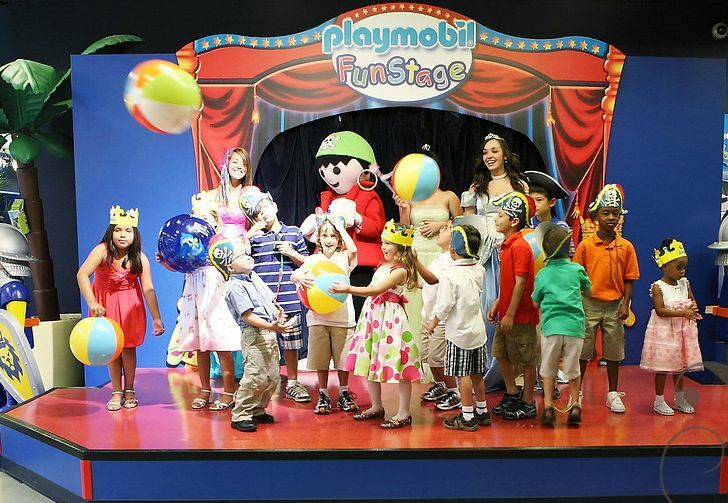 A couple of years ago, we held our son’s birthday party at Playmobil FunPark in Palm Beach Gardens. I can tell you first-hand that it was fun, well-organized, a breeze for the parents and had a little something special for everyone. My son chose dinosaurs for his theme, which meant a beautifully set birthday table with a whole world of dinosaurs in the center. And I think my son really enjoyed getting to sit in a king’s throne during lunch and cake time. It also included a fun time at their stage, with a dinosaur explorer as a special character on stage. The kids also can stay for the rest of the day and keep playing if they would like to. I remember feeling like we, as the parents, truly had nothing to rush around and get done – because every detail was taken care of. When the party was over, the awesome Playmobil staff gathered up all of the gifts in a shopping cart and even loaded up our car. Several friends commented that it was the best birthday party so far! 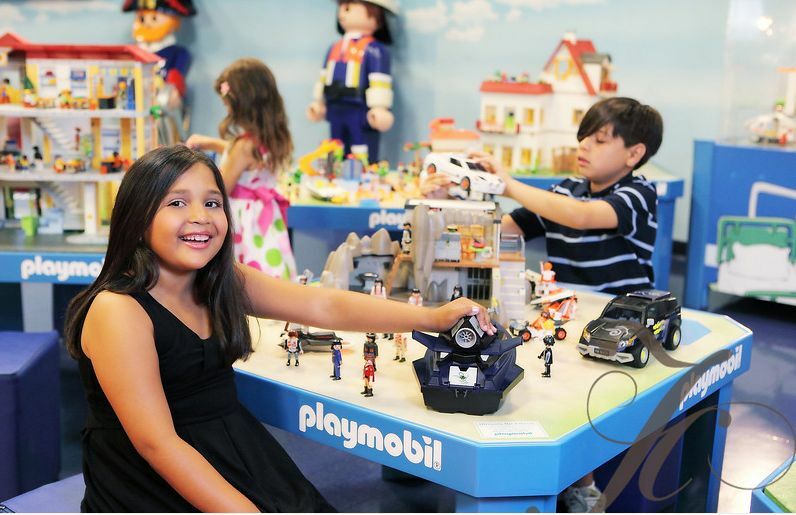 I had the chance to spend a little time focusing on Playmobil birthday parties and to ask Playmobil FunPark manager Lucy Guttierez a few questions about what makes their parties so special. What’s the best thing about Playmobil FunPark birthday parties? The best thing our Playmobil birthday parties provide is the ability to allow kids to celebrate with their favorite brand and theme. They can be princesses or pirates for their special day. What are some of the themes that kids can choose from? We offer many Playmobil themes such as Pirate, Knights, Police, Firefighter, Construction, Dinosaur, Princess, Fairytale and Mermaids. What do the birthday parties include? 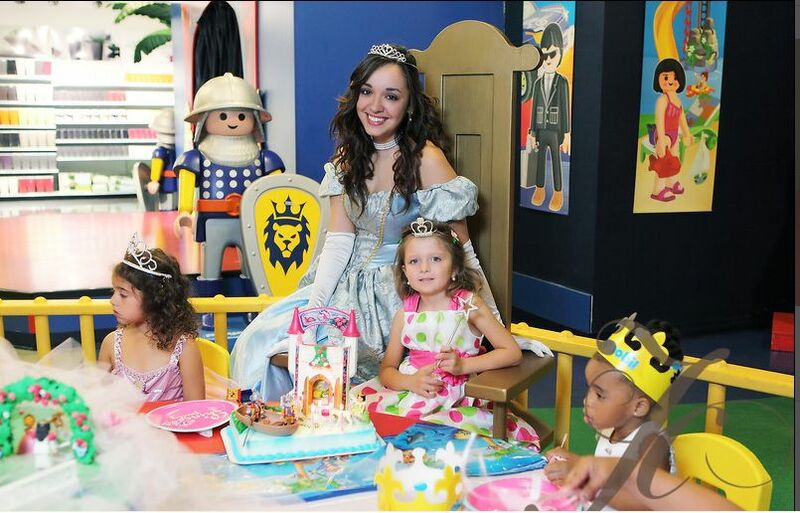 Celebrate your child’s special day with a Playmobil Birthday Party at the one-of-a-kind Playmobil FunPark. The birthday boy or girl can celebrate with 90 minutes of fun in the FunPark’s reserved party area decorated to showcase the child of honor’s favorite Playmobil Theme. 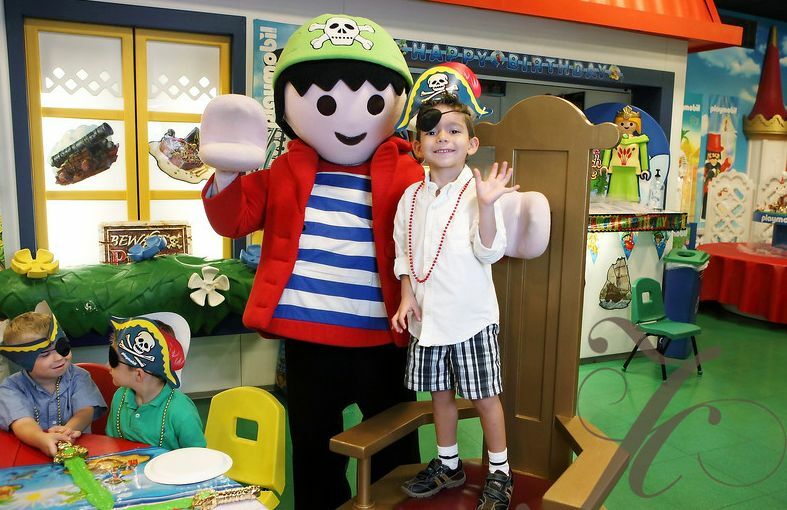 Plus kids will love the costume characters, pizza, lemonade, face painting and goodie bags with a Playmobil toy according to age and gender, activities and games on stage and, of course, all of the different themes that the 13, 000 square-foot indoor FunPark has to offer. Kids can reach out to their friends and families with fun Playmobil party invitations and thank you cards, courtesy of the Playmobil FunPark. And your child can register for birthday gifts in the Playmobil Gift Shop – all participants of the party get 10% off. Tell us about how the party goes? What’s the order of events? Let the expert FunPark team help transform your child’s party into a beautiful princess fantasy or a swashbuckling pirate adventure. The first 30 minutes we do face painting for all of the kids to give ample time for everyone to arrive. We then sit all the children at the birthday table, sanitize their hands and serve pizza and lemonade. Once all the children have finished lunch, we bring everyone to the stage for games and activities. On stage we explain the reason why we are there to celebrate — the guest of honor’s special birthday! Then we do games – we start with beach balls, and the kids have to keep these in the air while playing fun beach music. Then we do an obstacle course limbo. For our final game a character comes out on stage, the guest of honor’s favorite Playmobil character, and does our Playmobil signature dance. We gather the whole birthday group and take a souvenir photo on stage for the birthday boy or girl. We then bring everyone back to the birthday table for the singing of happy birthday and the cutting of the cake. At the end of the party we provide each child a special goody bag to take home with a Playmobil toy, according to age and gender. Everyone is welcome to stay in the FunPark and enjoy our indoor play area until closing time. What are some of the comments you’ve heard from parents about your birthday parties? Parents love how our staff takes care of all the details and entertainment, allowing them time to enjoy and mingle with their guests. Some parents love our beautiful space and how it allows them to entertain their guests during the 90 minutes of the party and how they can enjoy their child’s favorite themes in our large indoor funpark. For those who don’t know Playmobil toys, what do you think makes Playmobil toys unique? The cornerstone of all Playmobil activities is the figure which can bend, sit, stand turn its head and move its arms. It is the inspiration for children’s wildest pretend play adventures. Imaginative play explores many realistic or fantastic worlds. They can explore any type of world, as we encourage free play. Kids love the mobility of our figures – they find they can move their heads or get the figures to grip things with their hands. Kids can mix and match themes. They can create their own entire imaginative world. How do you give the birthday child “the spotlight” during the birthday party? The guest honor sits on a throne as head of the table, looking like the king or queen of the party. On stage all games and activities are geared towards them, making extra mention of their name throughout. They also have the spotlight on the stage, making them feel truly special. What kind of things do kids learn during their “playtime” with toys? For more than 30 years, Playmobil has been dedicated to enriching the lives of children by encouraging them to use their imaginations. 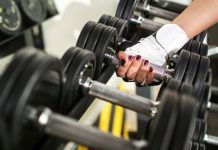 They learn skills that might be useful in other parts of their lives. They learn about real life scenarios as they are playing, and there’s a positive language factor, as this actually encourages kids’ story telling. Fine motor skills, grasps, learning to think differently, new scenarios, thought process development from playing – these all build on their imagination. Playtime with Playmobil toys encourages development in everyday classroom skills. Story telling changes but works for a wide range of ages as they play. You can inspire creative play by conveying to the child a sense of involvement and emotional warmth. Give the child an idea for a make-believe game. With the Playmobil family stroller set, a child can pretend to go for a walk with the family and the pet dog. Once this is underway, step back and allow children to proceed in their own way, at their own pace with their own storyline and imagination. How many other Playmobil FunParks are there currently in the world? 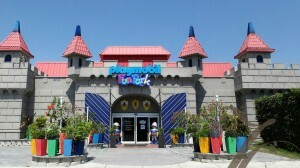 We are the only Playmobil FunPark in the US, here in Palm Beach Gardens. There’s also one in Germany, Paris, Malta and Athens, Greece. Lucy, how did you get started with Playmobil? How long have you been here? I began working for Playmobil in January, 2006. I truly love my job. It’s extremely flexible and rewarding for me as a mother. The owner and the corporate office are like a small family. needed to assist children in all their needs. The majority of our staff is med students with great knowledge as first responders. They are excellent and do an amazing job at keeping everything orderly and clean in the FunPark. Next articleJuly, 2012 – Greyston Bakery…Brownies and so much more!